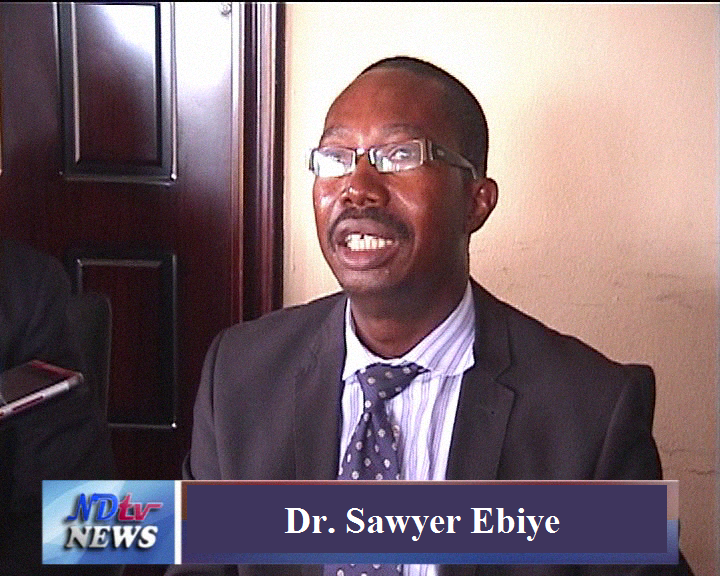 DR. SAWYER WISDOM EBIYE PROTECTED THE BABY IN THE GOVERNMENT OWNED CHILDREN HOME.THE ALLEDGED SAID IT WAS A MERE BLACKMAIL. By EINS Filling Station, Igbogene, Yenegoa, Bayelsa State. On 07/11/2015, Nwachuku Nnena came to New Survivors Hospital, Igbogene, to procure an abortion of about 7 ½ months pregnancy, which i refused to do but rather advised her to keep the pregnancy. She wanted to terminate it because she had medical complains and financial constraints. Following my assessment, she was diagnosed to have severe malaria in pregnancy and this can be managed without resort to terminate of pregnancy. Indeed, she was admitted and was catered for by the hospital, inpatients’ and their relatives as well as anonymous donations and that as of the time of discharge, there were still some outstanding bills. We managed the patient until 3/02/2016 when she was delivered of a female life baby. While the baby was delivered, there was nothing to feed and the hospital had to feed the baby until she was handed over to the ministry. She was not coming with any relatives as she had no next of kin, so we had to anticipate care of the baby after birth and established continuity of care with the ministry of woman affairs. Documentation was done properly and the ministry responded and a vehicle took the mother and baby to the ministry of woman affairs and then with the ministry bus the baby was sent to Glory Land Children home pending when she provides one or two responsible relatives. As i am aware, the Ministry of woman Affairs has a unit that informs the nearest Police Station to them, which was done by the Ministry. Instead of obeying the Ministry, she went to report to a nearby Police Station to her house at Igbogene and alleged that her baby has been stolen by the Doctor and sold at N200,000, because she was faced by a crowd to free her head. So they came for my arrest to verify her story. The D.C.O of Igbogene Police Division (Mr. Osaro), the Patient, Bayelsa F.I.D.A representatives and i went to see the baby alive at the Gloryland Children home and then, Ministry of Women Affairs, briefed them properly and pictures of the baby were taken on Thursday (February 4th, 2016) by the team. 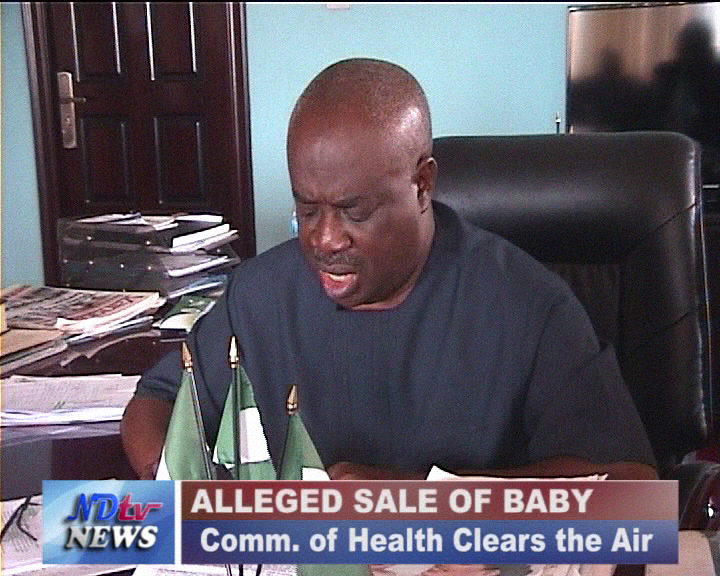 An initial publicity made by the F.I.D.A representatives and Bayelsa Police, Igbogene Division was that the Child was nowhere to be found and the document for the transfer of the baby from the Survivor's Hospital to Ministry and Government Children’s home was said to be document endorsed for sale of the baby. The document was an undertaking by the patient (Nnenna Nwachuwku) to transfer the baby to the Government since she cannot care for the baby and not a document for sale of baby as alleged. I am not aware that anybody sold a baby to a government owned institution "Glory Land Children’s home. The Medical profession is a noble profession and we should commend doctors that save lives and send to proper places for continuity of care. 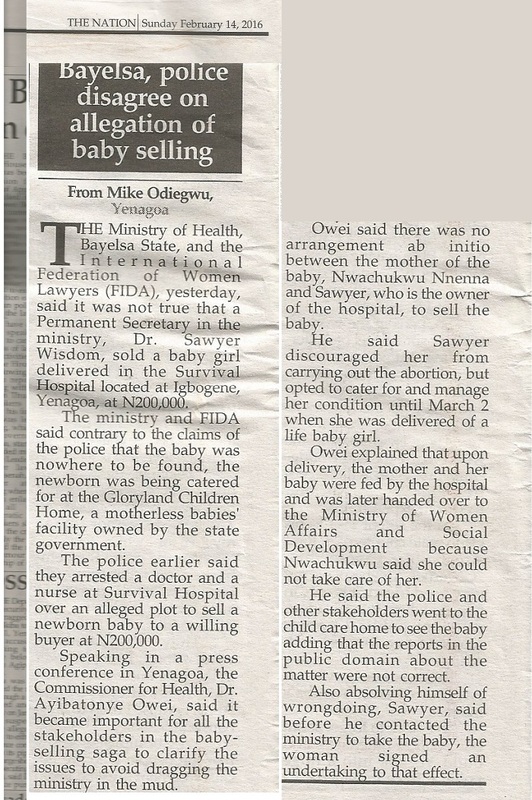 The Bayelsa Ministry of Health, Ministry of information, Ministry of Women Affairs and F.I.D.A Bayelsa has come out openly to debunk any allegation of Baby sale. The Baby is in the Government owned ‘s home. Till date Nnenna is yet to produce one responsible relative to come and collect the baby from the children’s home and that she is rather pleading with the Government to keep the baby for 6 months at least at the Children’s home. 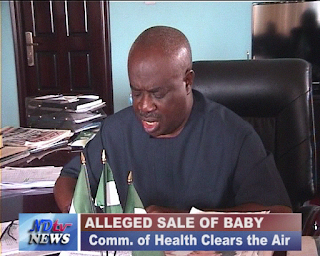 The patient herself has written a letter refuting the sale of baby allegation. Please see Publication in the Nation Newspaper Refutal by Ministry of Health, Women Affairs and Social Development, Information and F.I.D.A Bayelsa State. See Pictures of the baby at Gloryland Children home alive on day 4. HOME. THE ALLEDGED SAID IT WAS A MERE BLACKMAIL. The Nation Newspaper February 14 2016 . 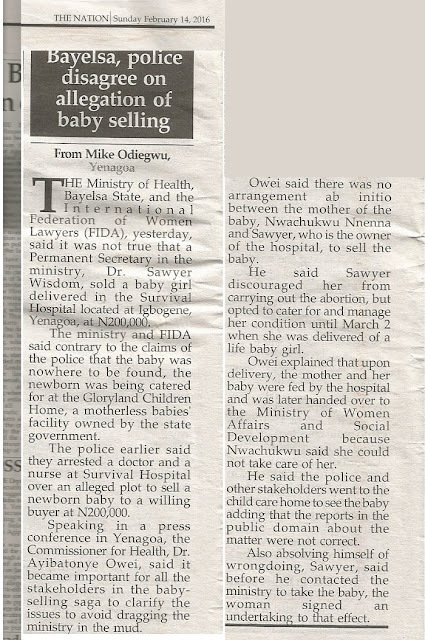 Bayelsa Police Disagree on Allegation of Baby Selling.